I generally arrive at events early, old habit of having to change to R-Comps die hard. Oskaloosa was no different, I arrived early enough to unload everything and eat a PB&J for breakfast prior to registration. Registration was a breeze due to pre-registering online and tech was a simple affair as well. Being a transport from FL to Iowa I was curious how the Iowa events were going to be ran. The registration, tech, and driver’s meetings were as expected. The only thing that was different was the large piece of green John Deere farm equipment sitting next to the port’o’johns. HAHA. Here in Iowa the run groups are organized differently, run groups are split by car #s. 1-100 run group one, over 100 run group two. It means classes may be split up, in this case SM was split. Which we’ll talk about more later. The Oskaloosa airport is a really cool lot, it reminded me of the old Hialeah Horse Track lot. A simple down and back. The layout was very cool with a good variation of obstacles. Big difference between Osky and Hialeah is Osky has soybeans surrounding the lot where Hialeah had a park with flamingos past the tree line. The surface at Osky was grippier which makes me not care about the missing flamingos. Overall, the car did well. I’m insanely rusty in my driving as you’ll see in the video. I’m still having issues with my AIM SoloDL logging my OBD2 but I’m working with AIM to figure out a solution finally. The video only has GPS data as I forgot to use my backup OBD2 logger for OBD2 data. Too focused on remembering how to drive the STI. haha. The run group was organized with 3 runs in the AM and 3 runs in the PM. Everyone works when they’re not running. The last heat of the day was looking gloomy, actually ominous is the better term. Luckily the lightning storm skirted around us and we only had a little drizzle, one of my SM competitors only had 1 dry afternoon run which is why I probably squeaked out a win. (Look forward to our next battle David). I’m looking forward to the next Osky event with the Iowa Region on the 27th of July. Be sure to stay tuned for more articles, I’ve got two more completed events to finish video editing and do write ups on. The two upcoming articles cover July 6th with Great River Region and July 13th with Iowa Region. Btw, if you’re in Iowa or near Iowa you have to come out to an event. 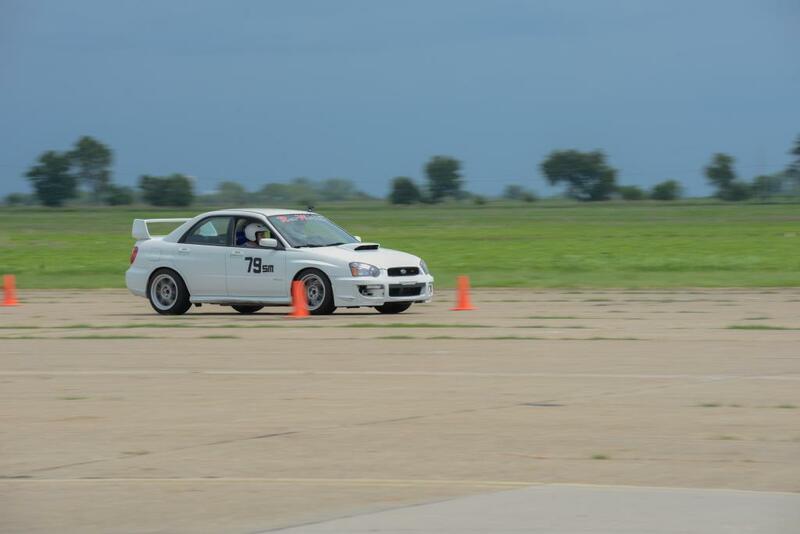 I’ll be posting the Autox schedule up on the blog soon. 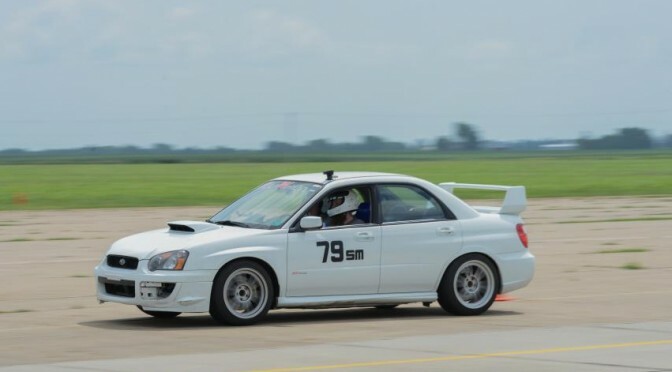 It’s always great to meet new people and get more Subarus at the races. If you’ve got questions on class, setup, what to bring don’t hesitate to fire off an Email. Note: due to the lack of photos I may edit it down the other runs to add some video content to this post. Note2: Added another run, killed a cone.